Pet welcome, max 1, under strict control (£20 pw). Dogs are not allowed in the bedrooms. Books. Coffee and tea. Cake. Snacks. Art. What more could you want? An eclectic selection of books, and a mine of information about Covenanters, Queen of the South and all things Scottish. Spacious airy cafe, to relax and read or chat, with art exhibited. Cooking on the premises and a warm welcome. Enjoy sitting in the garden too, if weather permits. Dogs welcome. 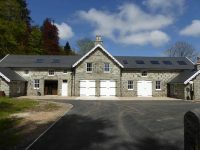 Self-catering apartment. 10am to 4.30pm daily but closed Tuesday. Sunday 12 noon to 4.30pm. 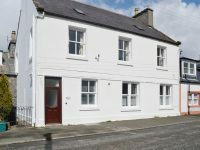 Flat above the shop for holiday let. 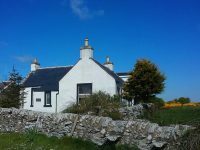 Burnside is a charming 19th century cottage just 15 minutes from Wigtown. 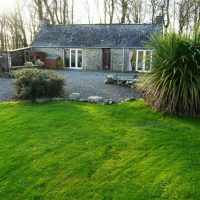 You’ll find it tucked away in traquil valley surrounded by rolling green fields. There’s no other house close by. Just you, the wildlife and the view. Enjoy a drink in the enclosed garden while trying to spot dozens of varieties of local birds. BBQ a lobster caught by local fishermen or wander down to the pretty fishing village of Port William just over a mile away. 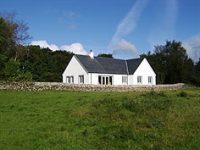 Burnside sleeps five in three bedrooms and is available all year. 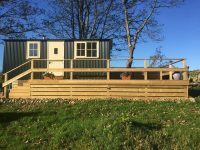 It has everything you need for a short or long stay. 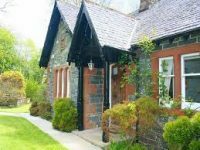 One of the former byres of Borrowmoss Farm has been carefully converted to provide three lovely single-storey self catering holiday cottages. 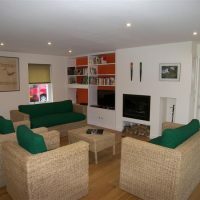 They can be booked individually or as a whole to accommodate larger groups (maximum 12 people). The enclosed garden provides a safe place for children to play. 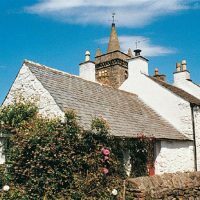 Situated in a quiet rural location, yet only 1 mile from Wigtown, Scotland’s National Book Town, in the heart of the natural beauty of Wigtownshire, Borrowmoss offers an ideal base for your holiday in South West Scotland. 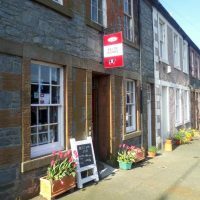 The Wigtown Ploughman Hotel is the perfect place to relax when visiting Scotland’s National Book Town. 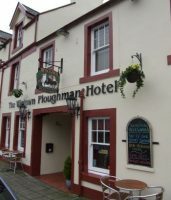 Newly refurbished throughout (March 2008) and redecorated in March 2009, the Wigtown Ploughman Hotel offers a high standard of comfort and fine food at reasonable rates in the heart of one of Galloway’s most attractive little towns. 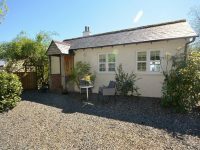 All rooms at The Wigtown Ploughman Hotel have an en-suite bathroom with shower and/or bath, central heating, tea & coffee-making facilities, mini-bar, hairdryer, ironing board/iron, lockable safe and TV. Off-street parking available. 24-hour security on site. 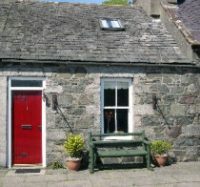 The hotel offers double, twin, triple and family rooms. We serve a high standard of quality cuisine, cooked from fresh and using only the best local ingredients. 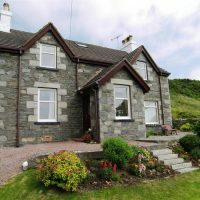 A warm welcome awaits you at Craigmount Guest House which offers Bed & Breakfast or B&B with evening meal. 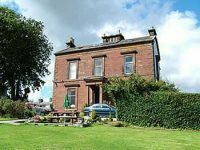 Craigmount is a former manse, dating back to the early 19th century, situated on the edge of Wigtown overlooking the golf course. 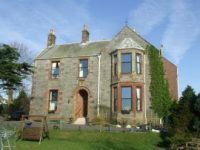 Retaining many original Victorian features, Hillcrest House offers STB 3-star quality and comfort set on the southerly edge of town with open views across Wigtown Bay. 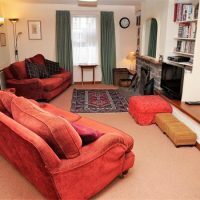 We have 6 bedrooms, all en-suite, lovely residents’ lounge and dining room. 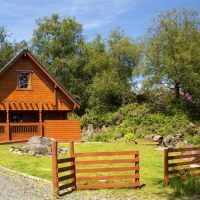 Perfect base for exploring this beautiful area or simply relaxing and enjoying life at a different pace. 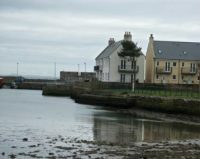 The Bladnoch Inn offers good food, accommodation and a place to relax and enjoy fine ales and our extensive range of spirits. 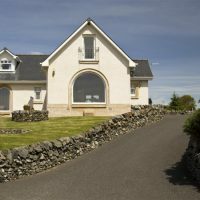 It’s the perfect base from which to explore all that this stunning corner of south west Scotland has to offer. 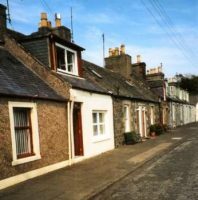 Just a stone’s throw from Scotland’s most southerly distillery set on banks of the River Bladnoch, Wigtown, Scotland’s National Book Town is just half a mile away. 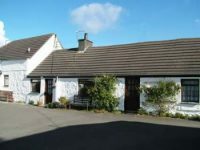 The Bladnoch Inn has four twin letting rooms. Food is served 7 days a week. 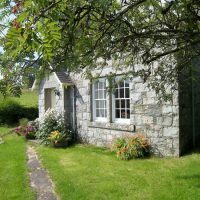 The Bladnoch is a small, family-run inn, ideally located by the banks of the river Bladnoch and just a short distance from Wigtown, Scotland’s national Book Town. Enjoy relaxing in our friendly bar with open fire or dining in our a la carte restaurant on the finest traditional food in the region. All food is sourced fresh locally. 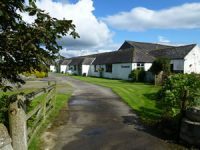 We have four triple rooms and can provide packed lunches on request. Restored to a high standard, in conservation village of Bladnoch (one mile from Wigtown). Sleeps six. 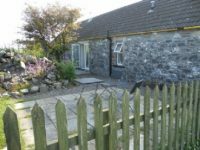 Large garden, games room with pool table, central heating and open peat fire. 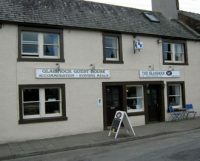 Good child-friendly pub and Scotland’s most southerly distillery in village. Sandy beaches nearby. Excellent centre for touring.